Oshi Bitcoin Casino - Great Fun - Excellent Bonuses! A different range of high-quality games, a licensed company that has some great Casino Bonuses. 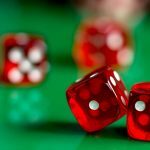 Oshi is another Bitcoin casino and fiat casino, but with a difference – they are licensed in Curacao. Oshi is owned and operated by Direx NV, which is a company registered and operated under the law in Curacao. This gives you some assurance that they are no scammers. Oshi certifies that all winnings and losses are random as iTech Labs have verified their RNGs (Random Number Generators). Registering is simply easy, in a few seconds you should be part of the site. All you need do is click on the JOIN button, fill out a short form, and in some 10 seconds, you should be heading to your mail to confirm your registration. You get up to 150% bonus with them and also as much as 500 (five hundred) spins for free. That gives you high chances of increasing your winnings. Even when it’s not the first time you get to fund your account, you aren’t left out, and you still get the reload deposit bonus. Funding and withdrawals via Bitcoin and euro attract no fees by Oshi. You only need to pay your regular miners processing fee for your transaction to be confirmed in time, but the company doesn’t add any extra charges. Minimum cash out is 0.00011 Bitcoins, and you can cash out as much as 5.0 Bitcoins in one transaction. Like every other casino, you don’t apply to be a VIP member; you earn that position. It’s pretty easy to be a VIP. All you need do is play more games and be good at it. Being a VIP even gives you the privilege of getting access to Exclusive VIP games, gifts and rewards, and a dedicated VIP manager as well. You can earn over 55% revenue share on what your affiliates earn. There are three custom commission bundles to optimize your revenue. You get fast commission based on your situation. You even get free banners, landing pages, and artworks to promote your link. The affiliate program is an excellent way to start earning on games even if you don’t have enough to get started. You probably might want to keep a tab on them on social media as they regularly update fans through their online blog and Twitter page on new features, games, or bonuses that can be of benefit to their online community. It’s a great place to have fun and also to try and make some coin with no discrimination with regards to where you reside. With a different range of high-quality games, with a licensed company that promises PF (Provably Fair) games, you can be assured games are not manipulated to anyone’s favor, and results are random. 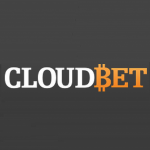 Hands down the best bitcoin casino out there. Forget all the other bitcoin casinos. Oshi.io is where you want to play and win!! + PROS: Fantastic atomosphere! Great selections of games, from slots to table games! LiveChat is amazingly fantastic! They really do love their players. 1. Upon attempting to cash out, they took away the 0.6 BTC I had in earnings and didn’t allow me to cash out, likely due to having gone from a 0.018 BTC deposit to a balance of 0.6 BTC. 2. Before I realized that when making a large sum they won’t let you withdraw and instead end up stealing your winnings, I was very pleased with their website. 3. They give promotions to players for giving them positive reviews on these types of review websites. 4. Sadly I was one of those who gave a positive review for a mere bonus, prior to feeling betrayed having lost the money I had so excitedly won on their site. 5. Worst overall online casino experience of my life, I recommend you stay away from this one. Otherwise expect your winnings to be taken away from you upon winning anything substantial and to end up feeling as betrayed as I have.